Buying a used car can be risky, but getting vehicle financing for a brand new car costs much more. Most consumers would rather purchase a second hand car. When wanting to purchase a second hand car, you need to ensure that you get the best possible deal. Get financed through a used car dealer – As direct financing may take more time, getting financed through a used car dealer will be less stressful. Interest and credit scores – A lot of vehicle finance companies charge a higher interest rate than they should. 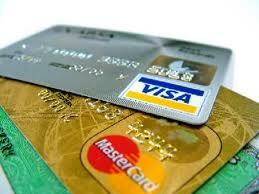 Make sure that you pay the correct rates according to your current credit score. Down payments – If you pay an amount of money up front as a deposit, it will lower your monthly installment. As you are purchasing a used car, the instalments will decrease somewhat. Check the car before signing – To protect themselves and the consumer, a company will compile a contract for you to sign. This contract will state the amount you will pay per month. Make sure that the car you are purchasing is in such a condition that the rates are comprehendible. Earn-A-Car has the best car finance deals for used cars. Being one of the best vehicle finance companies in South Africa, we will help you get the best deal, even if you have a bad credit record. If you can’t get car finance with bad credit, come to Earn-A-Car and we will ensure that you walk away with the car of your dreams. Contact us today to find out more about our amazing vehicle finance deals on used cars.